Isaiah Webb, whom we featured previously, is back with more of his incredible beard styling antics. 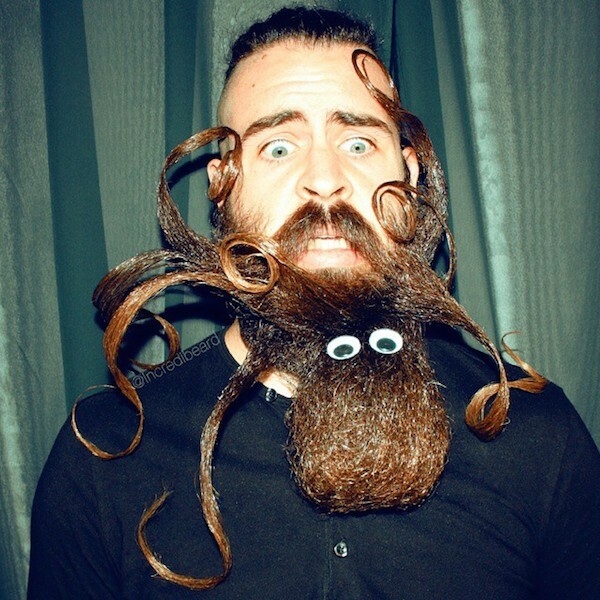 Known as ‘Incredibeard’ online, Webb made these epic beard “sculptures” by using his thick facial hair to create assorted shapes like a bow tie, a creepy octopus, and for the festive season, a dazzling Christmas tree. Check out Webb’s latest beard creations below, or follow him on Instagram for more updates.